@PRJ: Cool video. As usual. Not all of NECA's stuff has cable ties. Just the ones they send to you. 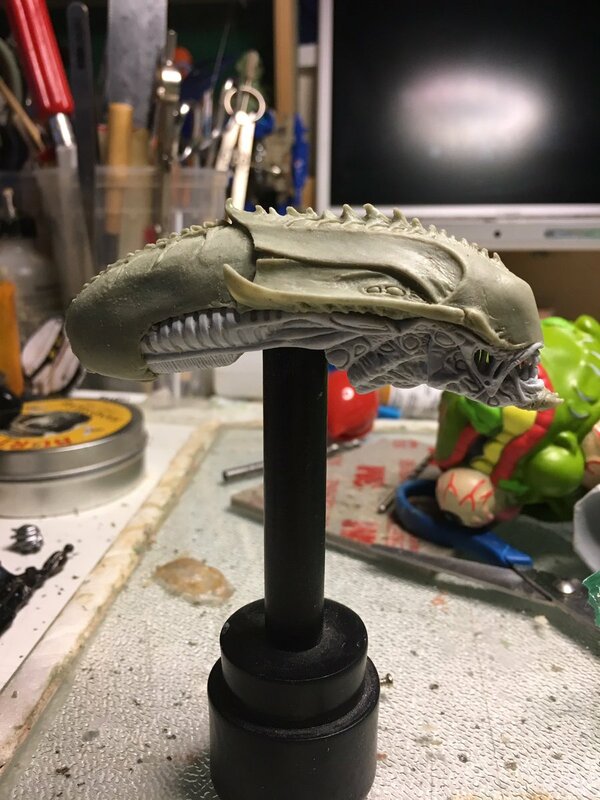 @crazypredator2: NECA teased a close up image of the predalien about 12 months ago. The original was a popular figure and can fetch good money now. Obviously, there's a demand for it. I'll be surprised if they don't follow through on that item at some point. After all, they keep making variants of the Big Chap and Dog Alien. Hell, the Dog Alien alone NECA have released 5 iterations of it. Personally, I'd love to see another iteration of the Predalien hybrid. It was the only good thing about that movie. Hell, a quarter scale version of it would be meat! I really like the look and design of the predalien, a 1/4 scale predalien would be awesome in the collection for sure. Thank you kindly sir. Feel free to link it to your awesome site! I am currently selling my AvPR figures New in Box on eBay if anyone is interested. Looks like a Runner head as the base so I'd guess Panther Alien? I find it strange that we are still yet to have a resurrection Warrior. It looks like the base for the DC vs. figures are said creature. All i want is that and a Covenant Alien and ill be happy. NECA just had to do this when my shelf-space is at its lowest point. Orly? My wallet and shelf space are both going to be feeling very thin once NECA announce their imminent range of 'ALIEN: Covenant' figures. The 25th anniversary of A3 this year and still no 1/4 scale Alien runner? Also the 20th anniversary of Resurrection and no standard resi warrior. Maybe announcing on 4/26..? Can only hope. Would be sweet. I'm sure they have something epic in store to show off in a few days. ...and Superintendent Andrews. Comes with a squash ball accessory. You'll be happy to hear I have 3-5 new videos in the works and a long weekend starting tomorrow to work on them! Thank you as always! And lol to the squash ball.